Discussion in 'Swansea City' started by Wellington, 12 Apr 2019. He played 36 times for Swansea in the 1978-79 season. His famous chest-high tackle on Ossie Ardiles can still be felt, almost half a century later. 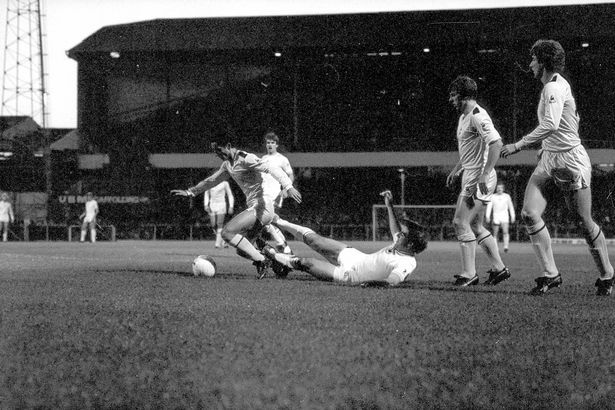 It was Ardiles' first game on British soil, and almost broke the Argentine in two. Glenn Hoddle and Ardiles discussed the tackle years later . Hoddle takes the story up: "Tommy Smith's playing for Swansea and he's near the end of his career. "Ossie had a little bit of English by now, so we're saying, 'Ossie! Ossie! Tommy Smith. No 4. Bad man, tackle'. And Ossie was, 'Ah, no problem. Hard men in Argentina. Daniel Passarella'. I remember him saying that. And we're all going, 'Yeah, but this is different'." Ardiles interjects. "I wish I had been better at English at the time so I could understand..."
Ardiles: "I was like, 'Welcome to England! Ha, ha, ha'." Bill Shankly once said of him: "Tommy Smith wasn't born, he was quarried." orangejack69, Victor, Efrog Jack and 4 others like this. Once heard Shanks say - He wans't born eh he was hewn out of granite! Victor, Efrog Jack and Neveroffsideref like this. orangejack69, Victor, Efrog Jack and 1 other person like this. Victor and Efrog Jack like this. Sad news. His later years blighted by dementia, too. As ever Tommy, do not go gently.